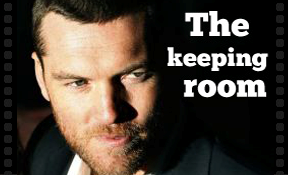 Do you want to hire a local fixer, but don't know who to call? Do you want to source a camera package or lights at the last minute? Perhaps you want to film wildlife but don't know where to go? A Fixer provides logistical support, facilitates permits, locations, talents, crews, equipment, accommodation and transportation for filmmakers who wish to conduct filming abroad. In the TV business, you will often hear the term "local fixer" being tossed around. A local fixer basically arranges interviews, location permits, transport, hotels and meals, EVERYTHING that a foreign crew needs to shoot a story. Sometimes also referred to as a production coordinator, or local producer, this person needs to know logistics and have the magic touch to get things done. Based in Bucharest, we are a young and talented company committed to creating work of excellence, having an excellent network of contacts across Romania and Rep. of Moldova. Here at Albatross, working as local production fixers for foreign TV crews, we believe honesty and discretion is the best policy. Speaking English, Russian, French, Italian, Turkish, Finnish and Hebrew, our skills will allow you to do your job as quick as you want with the minimum budget possible. We have an extensive knowledge of the local mentalities and know many people throughout different communities. We get to the heart of every challenge and deliver results fast. We are alert, double-check everything and never leave anything to chance. Our reliable, disciplined team will not only keep you on budget, we'll save you money. We get the job done to the highest production standards. Being skilled negotiators and problem solvers, we will find you on screen talent and high profile interviewees from all fields. Strong contacts book includes celebrities, academics, politicians, journalists, artists, bankers, hoteliers, publishers, entrepreneurs, students, actors, models and more. Generally providing a sound background of local knowledge to support the overall production while located / operating in these two countries. 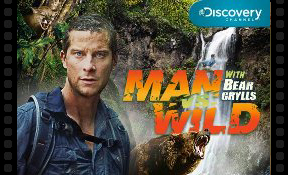 Man vs. Wild, also called Born Survivor: Bear Grylls, Ultimate Survival, or as simply Bear Grylls in the U.K., is a survival television series hosted by Bear Grylls on the Discovery Channel. 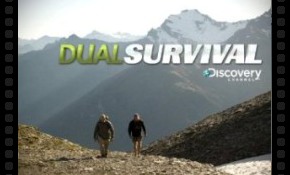 Dual Survival is an American reality cable television series aired on the Discovery Channel. The show features a pair of survival experts in challenging environments. Two sisters and one African American slave - left without men in the Civil War, are forced to defend their home from a band of soldiers who have broken off from Union Army.